So… what are we seeing in terms of florals for 2018? Well, mainly we expect to see a lot of foliage, potted herbs and trees… which is what we saw a lot of last year to be honest! But there is absolutely nothing wrong with that! 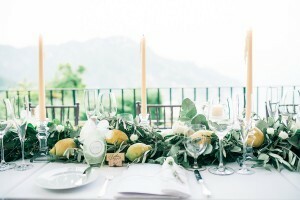 The greenery that foliage brings is really fresh, modern and lends itself to almost any venue and style, which is great for versatility and creating a really clean, beautiful design. Now, this doesn’t mean that we don’t want to see any bright florals (we really do! ), because we love the colours, smells and depth only flowers can bring, so please go with flowers if you want flowers (and hire us to work with them and you! ;). For those who want to stick with the wonderful trend which is foliage, potted herbs and trees, great choice! Though perhaps with a touch of colour wending throughout from beautiful florals. 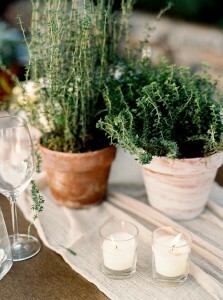 Here at Matthew Oliver Weddings, we thought we could help with some florinspiration (not sure I want to coin that…?) 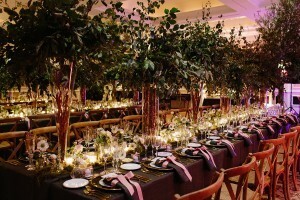 and give a few examples of great foliage designs we’ve been fortunate to create in the last few of years for our couples. Same photographer two different weddings! Both using draped foliage as the centrepiece on long tables, this low design creates a really relaxed, open dining feel and allows for a whole host of different accents to really create a unique style from the clean elegant base. 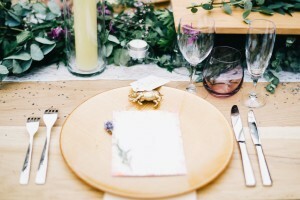 In this instance, we used touches of purple florals in the left French Chateaux wedding to compliment the coloured water glass and menu, to break up the greenery and match the colour theme throughout the wedding. To right (as you may have guessed from the view) we are in Italy and what couldn’t be more Italian? Lemons! Sporadically placed amongst the foliage it adds a pop of colour, really tying in with the theme to create a beautifully light fresh design. We just love Italy! 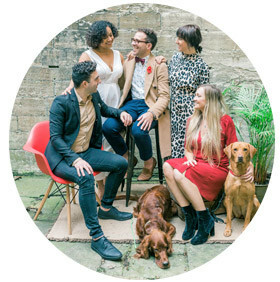 It has such a cool vibe, you can create a really relaxed wedding that is amazing but also doesn’t need to follow the wedding ‘norms’. This is the case in the above two Italian weddings. 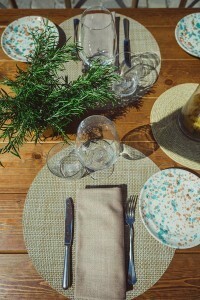 On the right, we were at the beautiful Rosewood in Tuscany, one big long table outside in the borgo, a simple but elegant setup, using bright dinnerware as the point of design, complemented by casually bunched vases of herbs, to create that relaxed Tuscan feel. On the right, we head a further south to the Amalfi coast and long tables with herb plants, in beautifully aged terracotta pots on casually draped linen from Silk & Willow, just stunning! From low designs to something a little higher… the foliage in tall glass vases at the Four Seasons Hampshire really create that ‘wow’ impact as you walk into the room and throughout dinner. The darker luxurious design is a step away from the light florals we tend to see at weddings and the foliage overhead creates a cosy intimacy with the people around you. 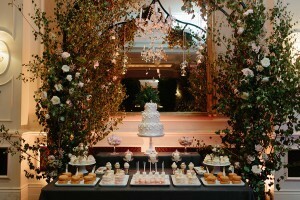 To the right we are at the same wedding, now we are seeing tall foliage with a touch of florals beautifully frame the cake and deserts table, creating a stunning scene but also keeping focus on the sweet treats! (obviously cake is the most important thing!). Now you can get tall tablescapes, but nothing beats having real trees! 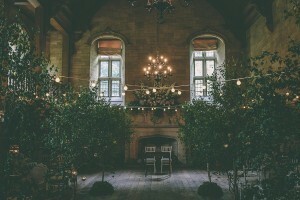 Bringing in something as natural and untouched as actual trees gives a wonderful whimsical feel, on the right we used a number of trees to line aisle in this beautiful Scottish venue, throw in a bit of festoon lighting and we were in love! 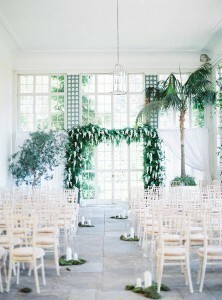 To the right, we are back at Longleat in their Orangery, which is all about light and plants, the planted trees are a fixed feature, so we wanted to make the most of them and use them to frame this stunning arch, splattered with white florals to tie in simple but incredibly luxurious and elegant fresh design. 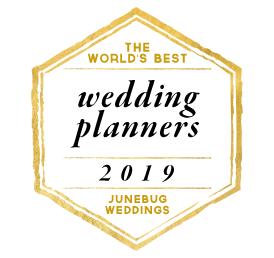 Just a few of the designs we have been able to create over the last few years, which either heavily uses or exclusively features foliage throughout various elements of the wedding. There is really no end to how you can use foliage to create or heavily accent a design to create the look you are after. However it isn’t just the design you want to think about, what atmosphere are you trying to create and how can greenery help you do that? 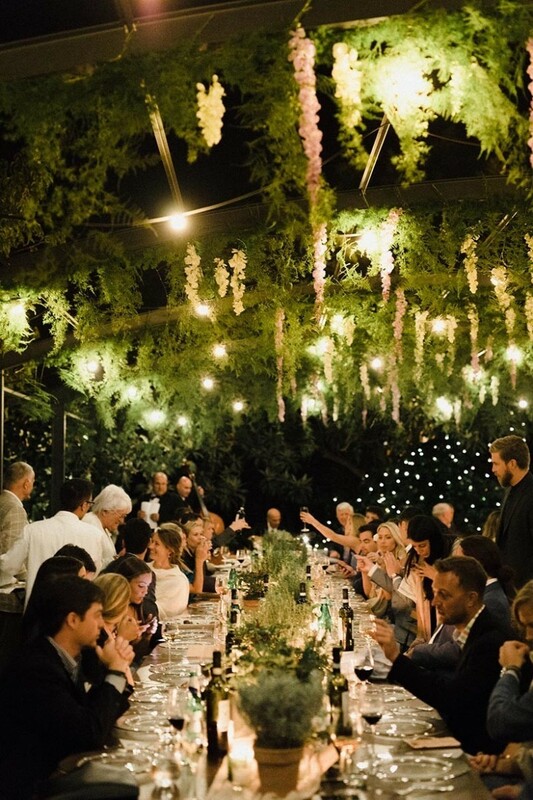 So I will leave you with my final image and how hanging foliage, with accents of florals and festoon lighting, really brings a restaurant cosiness to dinner, creating an absolutely stunning atmosphere. Check it out below and have a wonderful week!